Please take a few minutes to review our policies and call us if you have any questions. You will receive an e-mail confirmation within 24 hours of placing your online order. If you need to receive your order by a specific date, please let us know either by email at info@lorisgolfshoppe.com or by phone at 1-866-598-0630. Orders will be shipped out within 1 to 3 business days on all in-stock items. Backorders - we will order the merchandise from the manufacturer and ship to you as soon as we receive the merchandise (usually within 7-14 days). If the merchandise is delayed for an extended period of time, we will ship the in-stock and available items to you, with a follow up shipment of the backordered items with no additional shipping charges to you. You will also receive notification by e-mail of the status of any backorders or delays. Please note that we accept American Express, Discover, Mastercard, Visa, and Pay Pal. Orders will be charged to your credit card prior to merchandise shipment. Merchandise and/or shipping discounts will be reflected on your actual credit card bill, but not the e-mail confirmation notice. International orders which request shipping to an alternate address other than the billing address must have the alternate address listed with the issuing credit card company. This will be verified along with cardholder name, address, and phone number. Within 60 days from original date of delivery. Customers are responsible for shipping costs to return merchandise unless damaged or defective. Click HERE to download a Return Policies form. If you are unable to download this form, you may also include a copy of your packing list or invoice with your returned merchandise. Returns RECEIVED after 60 days from the original delivery date will count towards merchandise exchange or store credit only, less the shipping and handling costs. Returns are recommended through UPS, Fed-Ex, or via the U.S. Postal Service Registered or Delivery Confirmation, so you may track the return. For your protection against loss, we recommend that you insure merchandise for its full value. Insurance - Please insure the shipment for your own protection and keep your receipts until we confirm that we have received the merchandise and it is in new condition. If the shipment is damaged in transit, we cannot accept it as a return and you will need to seek reimbursement from the shipper, e.g., UPS or USPS. Credits will be issued within 10-14 days of receipt of your return for returns received within 60 days from the original date of delivery. Credits will be issued back to your original payment method, i.e., Visa, Discover, MasterCard, American Express,PayPal or Amazon. Credits will include the original amount paid for the merchandise less any discounts and / or shipping and handling costs (which are not refundable). Exchanges are processed immediately upon return. On your return paperwork, please let us know which item(s) you would like to return. If you are returning for an exchange, please note the new size, color, or item that you would like to receive. If you want to both return for a refund AND exchange items, from your order- the total of your returned merchandise will be calculated based on the original price of the item less any applicable discounts, and credited immediately, and the exchanges will be processed and shipped. For even exchanges, no added shipping costs will be charged and there will be no additional billing. For exchanges that exceed your return merchandise total, please authorize us to use your previous order’s billing information, on your return paperwork. Contact us via email or phone with a change to any payment or shipping information. Our site is secure, however if you feel safer giving your credit card information by phone, please call us at 910-575-0995, toll free 1-866-598-0630, or FAX your order to 910-575-0872. Personal information such as name, address, phone, or e-mail will never be provided to any outside companies and is strictly for the use of Lori's Golf Shoppe to process your order. If you have provided us with your email address when you joined the LGS club or when you registered your account with us, we will send you emails about sales, special promotions, and happenings at Lori's Golf Shoppe. To remove yourself from our email list you may either email us at info@lorisgolfshoppe.com or simply select unsubscribe from one of our email promotions. We collect state sales tax when the shipping address is within North Carolina (6.75%). Sales tax will not be charged on orders purchased outside of North Carolina. Purchaser is responsible for taxes, duties, and/or fees to the state or country where the merchandise is being delivered. Please contact your local tax and/or customs office if you need additional information regarding this. Merchandise should be inspected carefully upon receipt. We offer a 30 day in-house warranty against manufacturer defects. 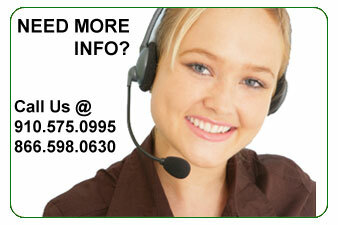 Please contact us by phone if you have any problems after 30 days and we will make every effort to resolve the problem. If you receive defective merchandise, let us know within 5 business days. You can then return it and you will be credited for the full amount of purchase. Return shipping will be arranged through the supplier or ourselves. For more details, click COUPON RESTRICTIONS.